As a child, I remember imagining myself as a veterinarian and would put on plays with my sister and cousins "caring" for the animals at the clinic we dreamed up. I told my family that I would become a veterinarian (among several other career choices, of course) while growing up and eventually followed that goal by heading off to Ross University School of Veterinary Medicine on St. Kitts Island. I then completed my clinical year at The Ohio State University. Before and during vet school, I knew I wanted to do more than just Western medicine. I always wondered if there were other treatment options than just giving pets medicine and if so, what were those forms of treatment? In school, I was introduced to acupuncture and found a place to become certified. I have since learned of several other alternative options which I hope to study in the future. Upon completion of my last rotation at OSU, I went to the Chi Institute of Traditional Chinese Veterinary Medicine in Florida to take and become certified in Veterinary Acupuncture. I am now a member of the American Holistic Veterinary Medical Association. Also before school, I was very curious about the behavior of animals wondering why some seemed so shy, why some would try and bite and how could we make dogs and cats feel more comfortable coming in for check ups? Therefore, I tried to get as much experience with behavioral medicine as I could during my year at OSU and have continued to grow in this field to this day. 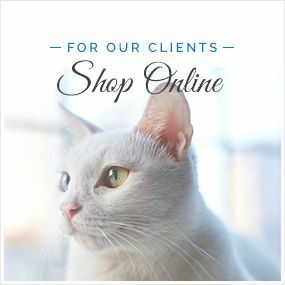 I enjoy helping clients who have questions about why their pets do the things they do and will gladly offer a session to sit down and discuss these issues. Together, we will try to problem solve what we can do to help mend the human-animal bond so that each can live a happier life. 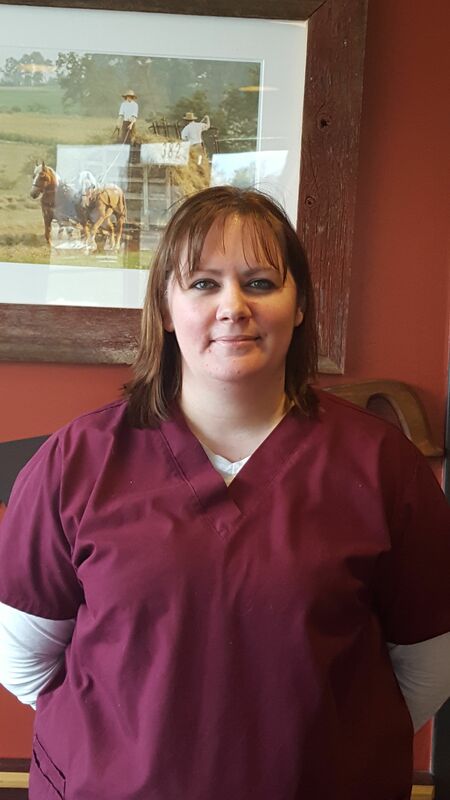 My first job was at Erie Animal Hospital in Erie, PA where I practiced for several years before coming closer to home to work here at Conneaut Creek Veterinary Clinic. Though I'll miss the people and pets I got to know, I am excited to bring Western, Eastern and behavioral medicine to the community of Conneaut and meet new people and pets! 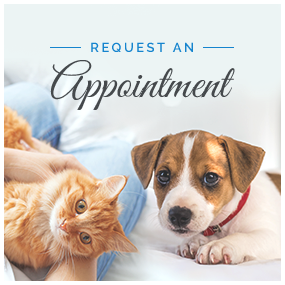 Please feel free to bring your pet's most favorite treat or toy when stopping by as we want you and your furry friend to feel comfortable while visiting! Away from work, I enjoy attending church with my husband Denver, traveling to new and exciting places and seeing or performing in theater productions. 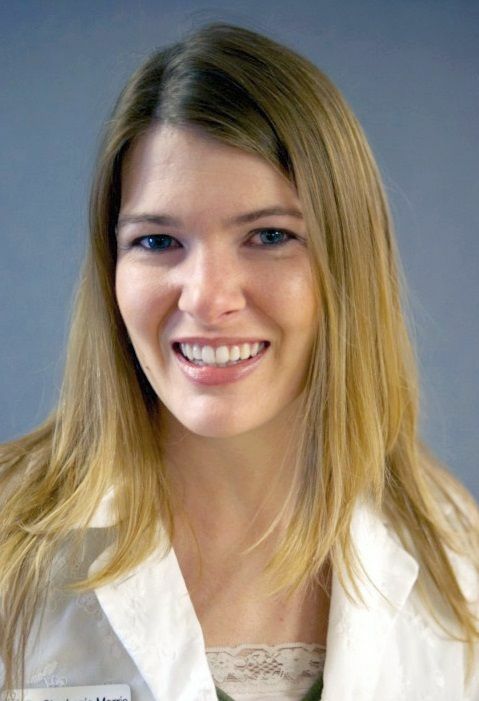 Hi, I am Dr. Hall and I have been practicing veterinary medicine for 7 years now. Being a veterinarian has been a lifelong goal for me as I grew up on our family horse farm in rural Pennsylvania and participated in 4-H, Morgan Youth and showed and rode Morgans competitively which gave me many interactions with veterinarians while attending to sick or wounded animals. After graduating high school I attended Lake Erie College where I obtained my BS in biology while playing basketball and riding on the IHSA team. My next journey after Lake Erie was most exciting when I traveled down to live on the island of St Kitts and attend vet school at Ross University for 3 years. After returning to the states I completed my clinical year at Oklahoma State before returning locally to Akron, Ohio to practice veterinary medicine. After being gone from the area for 10 years of schooling, I learned the importance of real friendship and family after I returned home. I have a family of seven, two daughters, Anjolene (3 yrs old) and Emma (8 months), my husband, Adam and our three rescue dogs. "Mia" is a 10 year old "Coconut Retriever" who was born under my roommate's bed in vet school in St. Kitts. "Stella" is a 4 year old Pit Bull whose mother died giving birth and she was close to death when her owners could no longer care for her. "Dutch" is a 1 year old American Bull-Pit mix that came from the streets of downtown Cleveland. 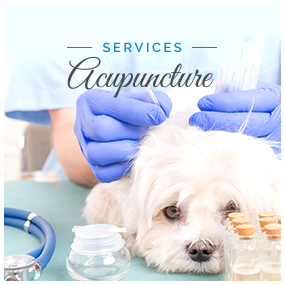 Veterinary medicine has given me a passion for nutrition, preventative care and blending therapeutic essential oils with modern medicine to bring my patients the best in overall health care. Being able to utilize essential oils on myself, my family and my pets has allowed me the chance to broaden my knowledge and experience and pass that knowledge along to my clients. I love the challenge of solving difficult or complex cases to help those without a "voice" to be heard. 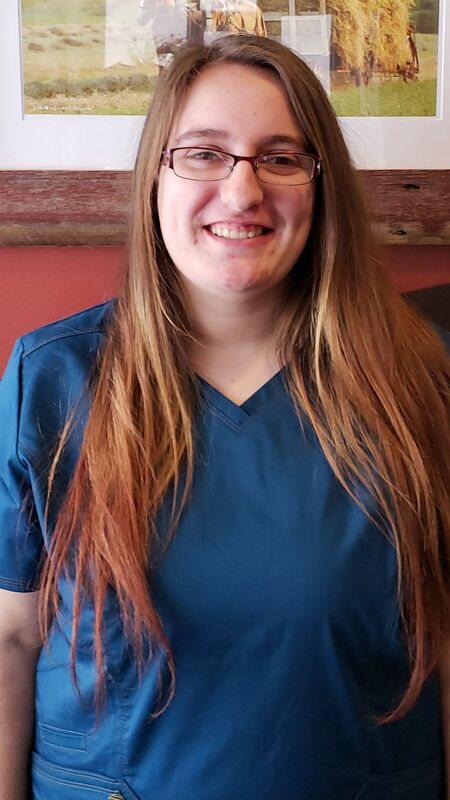 Hi, I'm Karen, and I am so excited to become part of the Country Doctor family through the Conneaut Creek Vet Clinic. 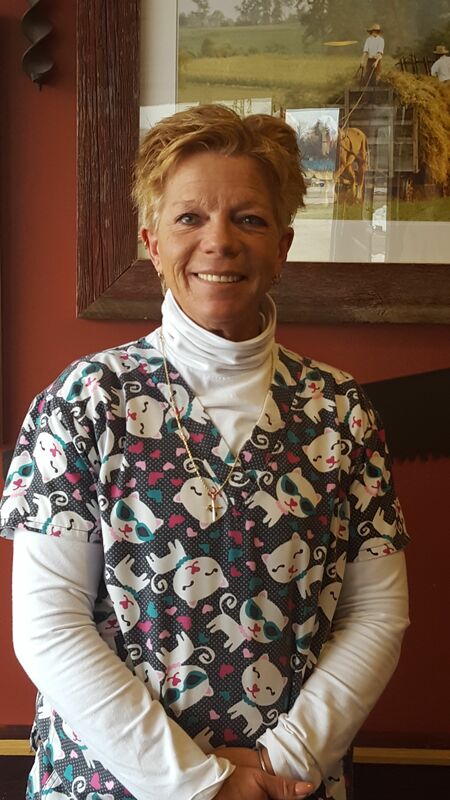 I am from West Springfield, PA., and have had the opportunity to work in the veterinary field for the past 30 years. The relationships with people and their pets and that special bond we all share with them continues to bring me the greatest joy! I share my life with a very special Aussie, Rae, a comical cat, Boo, and 2 goldfish that I've managed to keep for 12 years! They enrich my life in more ways than I can know. I am truly blessed! I look forward to getting to know you and your "family", so come on in to Conneaut Creek, and share a story (or two!). I'd love it! 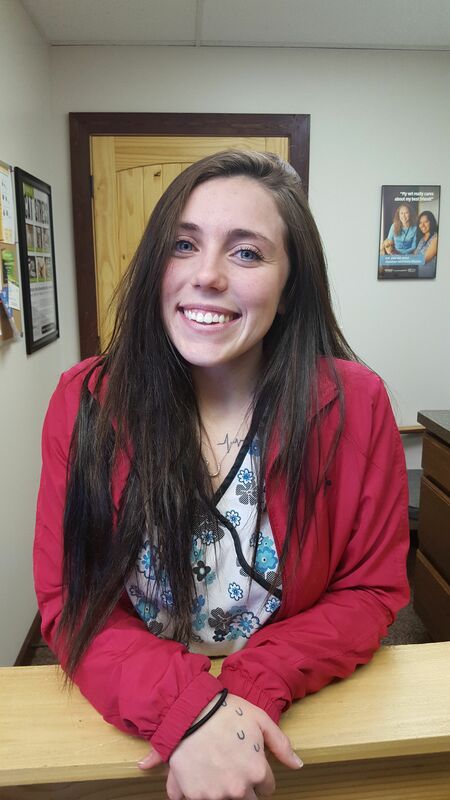 Hello, I'm Jaime and I am very happy to be a part of the Country Doctor family. I am a lifelong resident of Ashtabula County. Growing up on a hog and beef farm and being active in 4-H and FFA helped me to develop a passion for working with animals. I have been involved in the animal industry ever since. Currently, my husband, Christopher and I own and operate a grain farm. We have two wonderful daughters, Alyssa and Zoey, who keep us very busy. Along with our two dogs, four cats, and a horse named Joe, we lead a very busy life. When I do have some free time I compete in agility with my Border Collie, Kal. I can also be found volunteering with the 4-H program in our county. Hello, I'm Bethany. 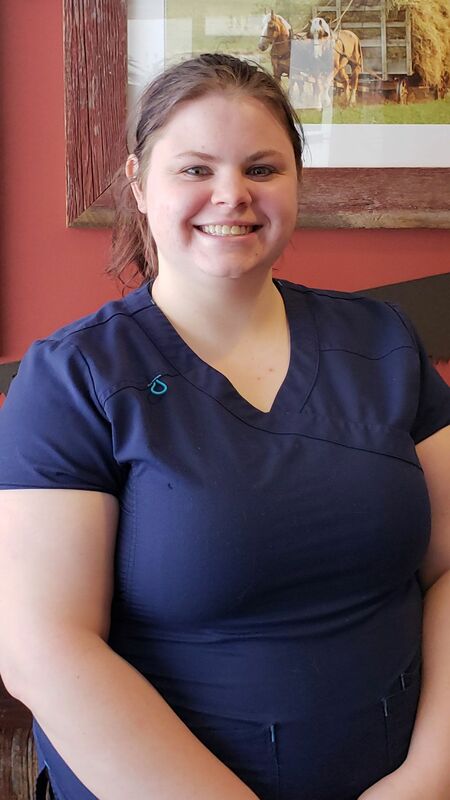 I am a veterinary assistant here at Conneaut Creek Veterinary Clinic. I am currently enrolled in on-line classes with Penn Foster College to achieve my Associates Degree in Veterinary Technology. It is great to have a position the gives me an opportunity to continually expand my knowledge and skills. I share my home with 3 Mastiff/Great Dane mixes that include two females, Benelli and Zeva, and my male Duke. My world has always revolved around animals for as long as I can remember. 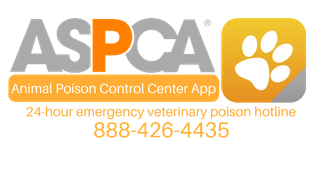 I am so glad to be a part of a team where we can all share the love of animals and most if all to continue to educate you as well as keep your animals healthy. Hello, I’m Becca. I live with my son down in Andover where I’ve lived for my whole life. I’ve had an assortment of animals all my life including a miniature horse, parakeets, iguanas, and dwarf hamsters. Right now I only have a dog and turtle but look forward to rebuilding my “mini-zoo” as my family likes to call my collection of pets. I grew up helping with the milking cows and always being the person taking care of animals ever since I was little. It has been a great journey to get to turn my love for caring for animals into a profession. I went to Vet Tech Institute in Pittsburgh and have been working in the field for 3 years. I look forward to getting to take my VTNE and continuing to learn from everyone here. Hi, my name is Lyndsey. I have been a part of Conneaut Creek since August 2018. I am enrolled in online classes through Penn Foster to get my associate's degree in veterinary technology. In ​​​​​​​highschool I went to A-Tech for small animal Care. I have 2 cats Frankie and Diesel. I also have 2 dogs Zeva and Murphy. I am honored to be a part of this great team!